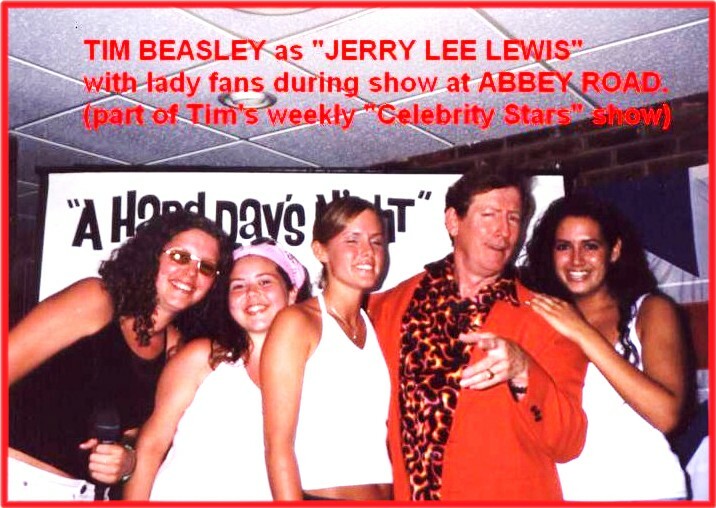 also here's "Jerry Lee" with his other "Rock n' Roll Heroes!" 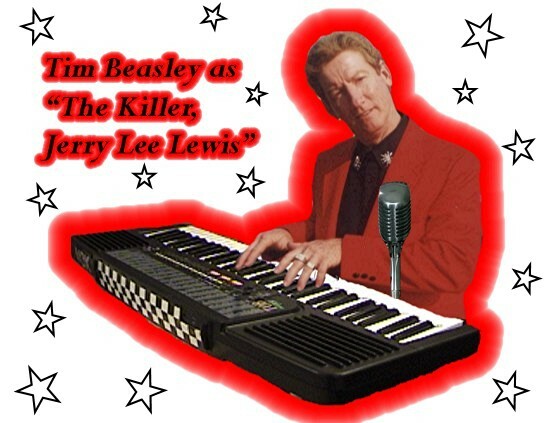 The Nauticus Marine Museum "Killers"
Bay Construction Annual Christmas Party at The Norva, featuring a concert also by the very real Jerry Lee Lewis himself! Corporate Events - Resorts - Convention Centers - Theaters - Cruises -Retail Promotions-Celebrations! 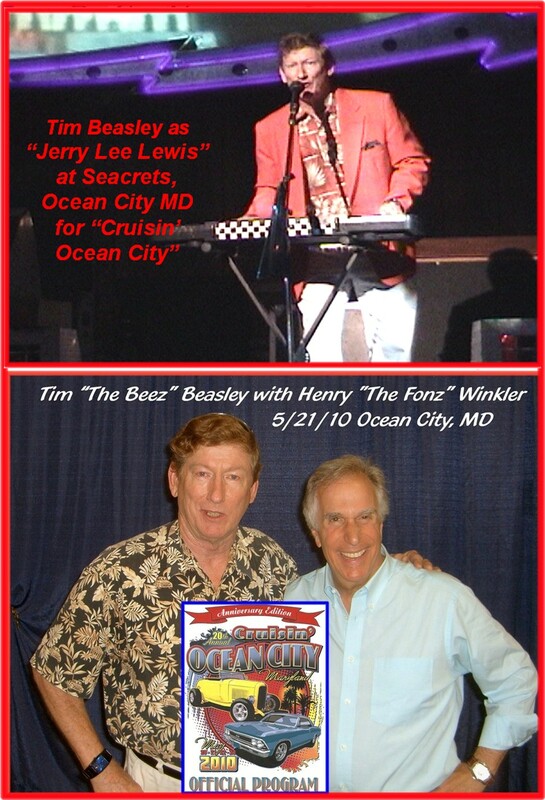 Jerry Lee Lewis is a very important figure in the history of rock n’ roll, and Tim performs all those rockin' tunes like "Whole Lotta Shakin’ Goin’ On", "Breathless", "Great Balls of Fire," "High School Confidential," "Sweet Little Sixteen," "Blue Berry Hill," "Johnny B. Goode" and the later country-style hits like "If You've Got The Money - I've Got The Time," and "Middle- Age Crazy" that made "The Killer" a legend in his own time. 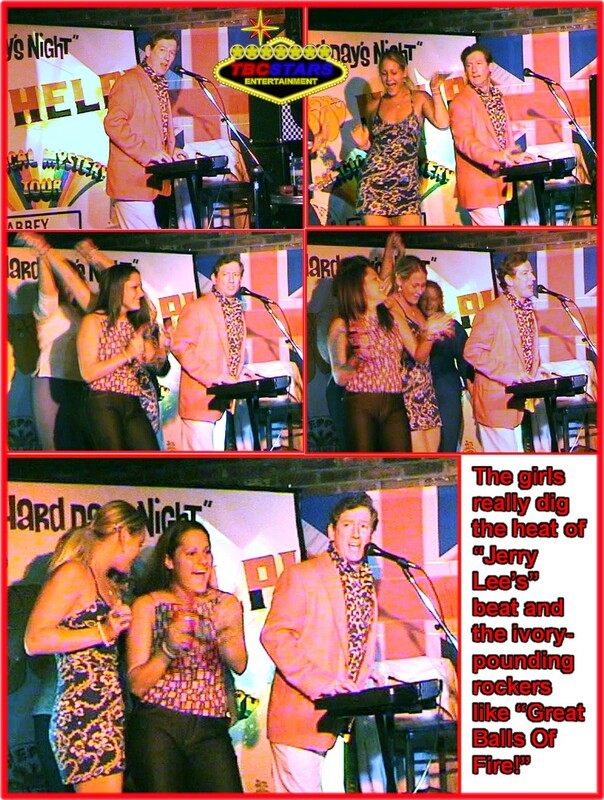 With his natural wavy auburn hair, lanky limbs, rooster-style struttin,’ keyboard hammering and saucy, soulful and bluesy vocals, Tim will have the crowds, especially the ladies, "shakin" for more! Ladies can't resist getting into the act!!! 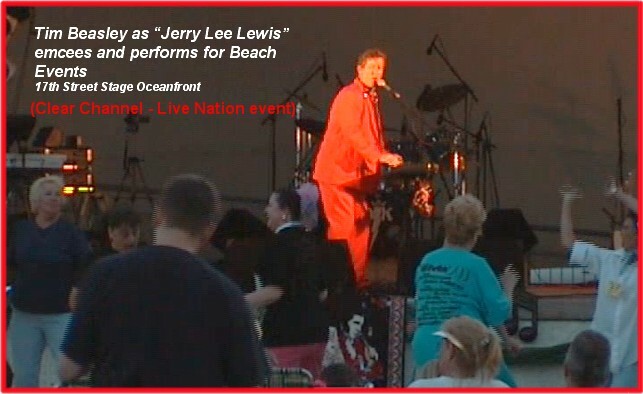 Festivals of all types are great events for "Jerry Lee Lewis!" 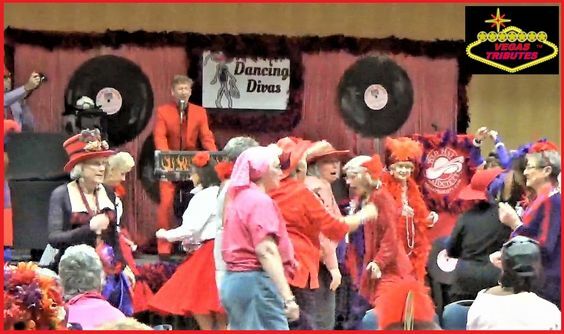 "Jerry Lee Lewis" rocks the Red Hat Ladies' event at Kingston Plantation's Brighton Ball Room, Myrtle Beach SC, Nov 10, 2018! ...and everyone wants a photo with "Jerry Lee," too!!! 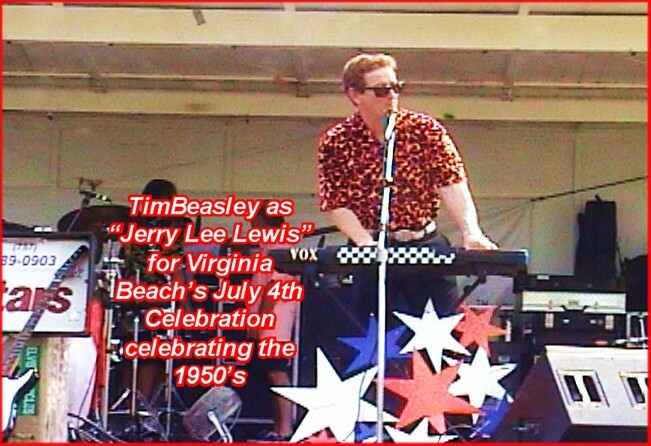 Tim Beasley was also the Master of Ceremonies for the huge July 4th celebration! Any event with cars is a perfect place for Jerry Lee, especial cool older hot rods and custom street machines, with a "rock-a-billy" flare! 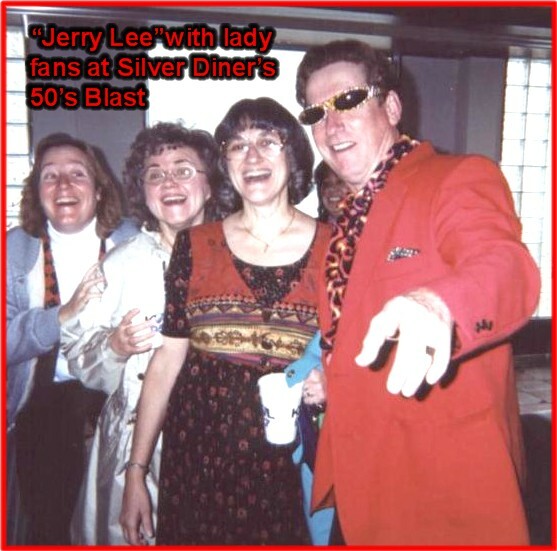 Events heralding a "Fabulous 50's" flavor have got to have "Jerry Lee Lewis!" 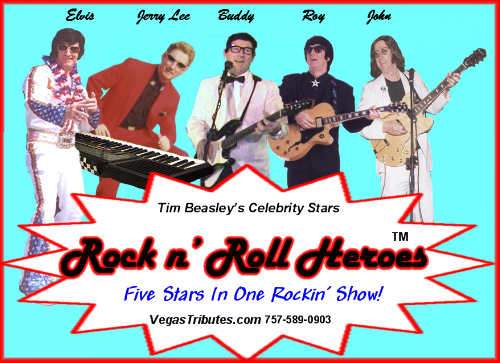 A recent show in Palm Desert, California near Palm Springs, had Tim as '"Jerry Lee" joining two other professional Las Vegas-area tribute performers, Mitch Adams as "Elton John" and Michael John as "Billie Joel" in a three-star show called 'The Piano Men" produced by D&K Productions of Palm Desert. A fun show, great audience that night at the Indian Wells Theater! ...and did we mention parties??? Oh yeah! 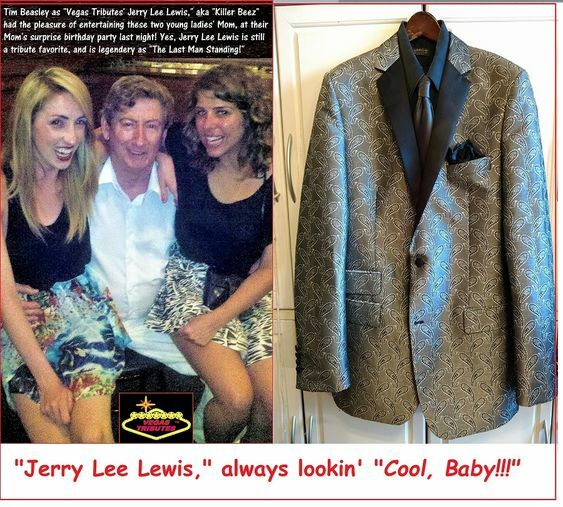 Jerry Lee Lewis' fans come in all ages, and ours can even come dressed out in fancy silver tux, too, for weddings, birthdays, divorces...you name it! Bookings nationally -internationally, have show, will travel!